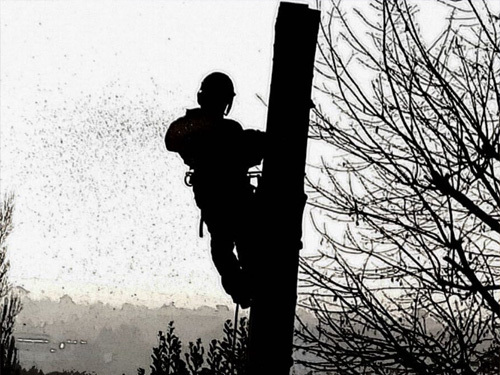 MBM Tree Care is a professional tree surgery company, founded by Mitchell Merriman in 2015. Since then, we’ve grown into a experienced and fully trained team of 3, who each take pride in their work. 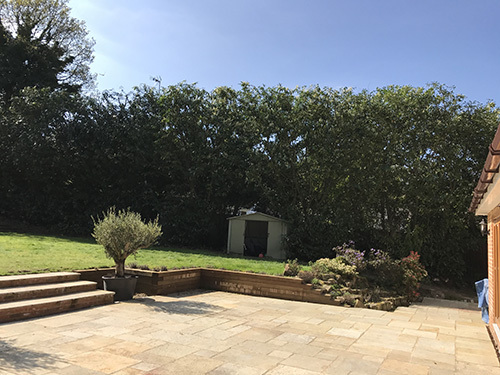 We specialise in all aspects of tree maintenance, providing tree services to both residential and commercial customers, in all of Surrey, Hampshire, and London Areas. 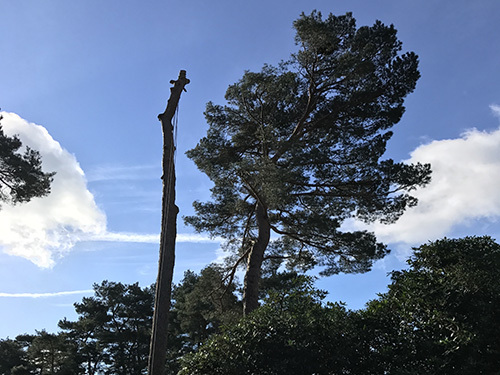 We use only the latest tree surgery equipment and techniques, ensuring your trees are cared for and maintained with minimal disruption to you, your trees and their surroundings. Please take a look at our services we offer below. Feel free to get in touch if you would like a quote, or any more information. Occasionally there is no option other than to remove trees, for example if they are unsafe, or, if they are preventing building works. 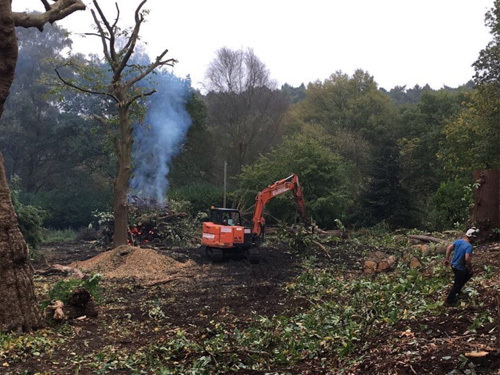 We specialise in both straight felling, and in sectional dismantling, depending on requirements, and space available. The reduction in height and/or spread of the crown (the foliage bearing portions) of a tree. We may use crown reduction in order to to reduce mechanical stress on the tree, or on individual branches, or to make the tree more suited to its' immediate environment. Crown thinning does not alter the overall size or shape of the tree, instead, we expertly remove a select few branches to give a uniform density of foliage around an evenly spaced branch structure. We'll only remove the minimum amount of branches required to achieve the desired effect, in order to avoid stressing the tree. Dead wood removal involves cutting down dead branches that will degrade and eventually fall, possibly damaging property or causing injury. It may be completed to different specifications such as large pieces only. Where lack of space dictates, the tree must be climbed and removed in small sections. Pollarding is an effective pruning method that ensures trees and shrubs don't grow larger than their prescribed size. 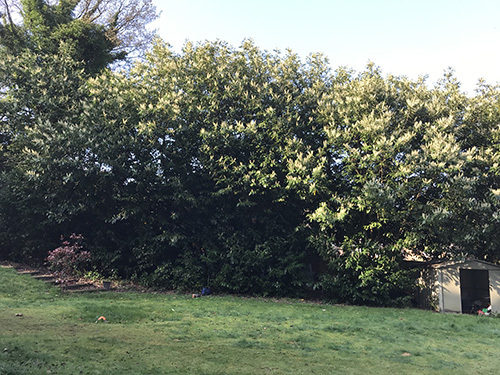 It's usually started once the tree or shrub reaches the desired height; followed by annual pollarding that will restrict the plant to that height. Cable bracing is the most common form of structural support for trees, without the need for potentially unfavourable pruning. It is often used to reduce potential damage to a healthy tree, or to prevent damage occurring to a mature tree in decline. 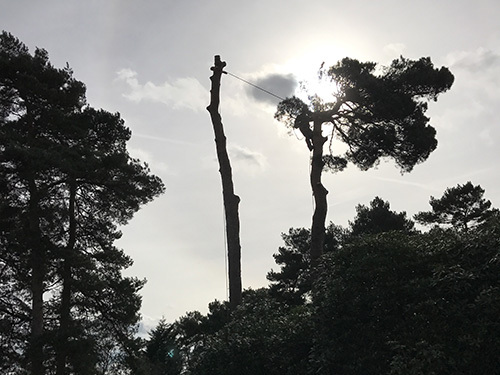 Crown lifting is carried out on trees to increase the clearance between the ground level and the lower branches. This can be to allow access below the tree, improve views / clear sight lines, or allow light to penetrate to the ground. It's not just trees we look after. We can also take care of your hedges; maintaining their height, shape and overall spread. We use both stump grinding machines and chemical stump removal systems, depending on the project. Chemical removal systems need to be applied to freshly cut wood, or the stump cut further to expose fresh wood. Removal of trees and shrubs from commercial property. We are on call 24 hours a day, 7 days a week, for any emergency situations. We also install and repair fences. A few photos of what we do. Get in touch with us to get a free quote. Website by Cohoda - Website design in Camberley.